Co-leader Mark Staunton. 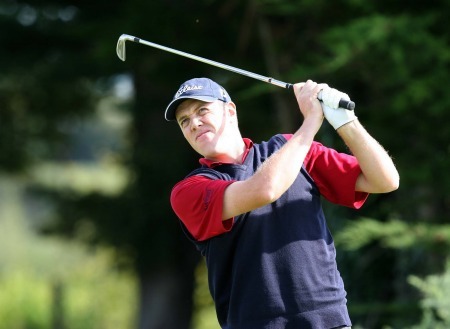 Picture: Thos Caffrey / www.golffile.ieBallinasloe’s Mark Staunton and Leopardstown’s Michael McDermott will take a one stoke lead into the final round of the Cassidy Golf 103rd Irish PGA Championship at Roganstown. The pair shot two under 69s on Saturday to lead on six under par from Ballyliffin’s Damian Mooney, who shot a sensational 66, Monkstown’s Cian McNamara ((68) and Derry’s Mick McGeady (70). 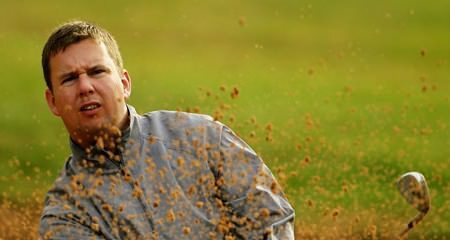 Michael Collins, Neil O’Briain, Peter Martin, Noel Murray and Colm Moriarty are just four shots off the pace on two under. 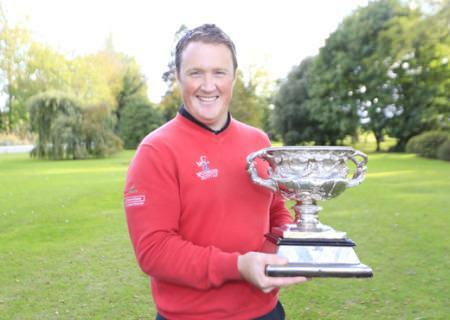 Michael McGeady with the Irish PGA trophy. 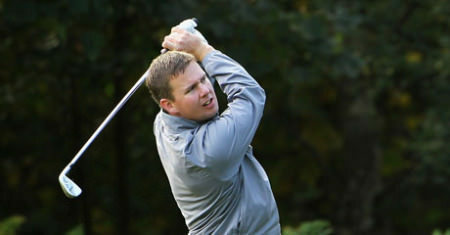 Picture Fran Caffrey www.golffile.ieDerry’s Michael McGeady ended a five year major title dought when he birdied the par-five 18th to win the Cassidy Golf 103rd Irish PGA Championship by a stroke at Roganstown Golf and Country Club.